Creative ideas from the selected books will be shared on the 2nd Thursday of the month with a new author each month. You can see the full selection of books over on Rainy Day Mum. This month the featured author is Erin Stoll Walsh, who I have to admit I hadn’t heard of before, but the three selected books are super cute and perfect for preschoolers. Mouse Paint is a really sweet story, playful story about three mice, perfect for introducing colour theory to young readers. The three white mice discover three pots of paint on the white paper where they live. They dive into the paint to colour themselves, then splash in paint puddles and discover that primary colours, when combined, make different colours. The mice then wash themselves clean (in the cat’s water bowl) and paint the paper with all the colours they’ve made, apart from a section of white where they can hide from the cat. We made our own colour wheel, to help reinforce the idea of colour theory and also so the children can check which colours make other colours when painting. I simply cut out two circles of white cardboard, one slightly bigger than the other and cut a window into the smaller one as you can see below. We used a split pin to make the wheel spin and added the colours. The window shows the colour made when you spin the wheel. Try mixing paint to check your wheel is correct. Can you add a third layer to show further colour mixes? We had lots of fun with our colour mixing water wall. 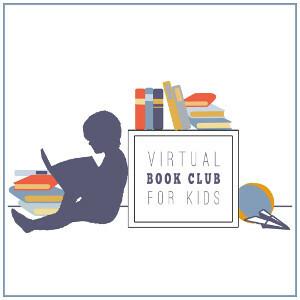 Don’t forget to check out other great Erin Stoll Walsh activity ideas from the Virtual Book Club bloggers.